Al-Mawrid Australia recently organised an Australia-wide tour of Dr. Khalid Zaheer to Australia from 22 April and 1 May 2017. 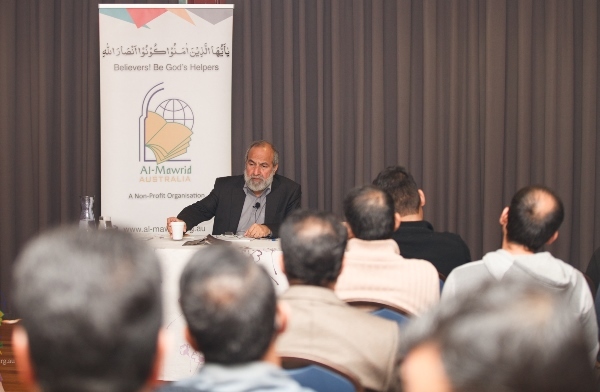 Al-Mawrid Australia is the Australian Chapter of Al-Mawrid Global – a Foundation of Islamic Research and Education. Al-Mawrid Global was established to promote the true understanding of Islam based purely on the Quran and the Sunnah. Dr. Khalid Zaheer is serving as the Vice President of Al-Mawrid Global. 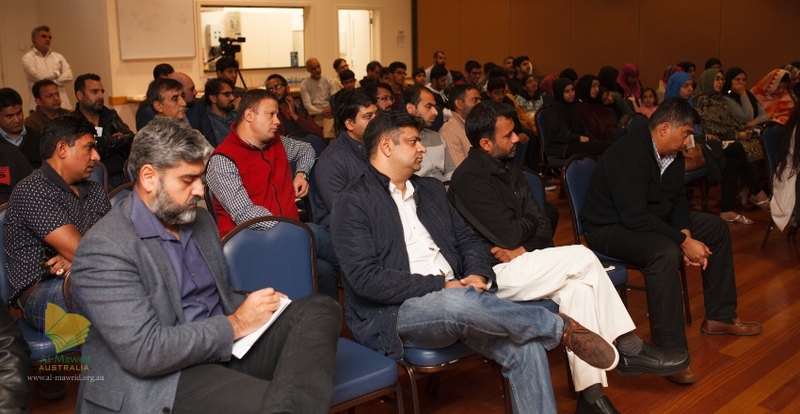 During his Australian Tour, Dr. Zaheer covered various topics and provided an incisive understanding of contemporary issues relating to Islam and modernity. Of particular note were his presentations on “Messengerhood: An Understanding of the Divine Practice”. Al-Mawrid Australia gave this topic to Dr Zaheer because Al-Mawrid believes that through the ground-breaking work of the great scholars of the subcontinent namely Imam Hamiduddin Farahi, Amin Ahsan Islahi and presently Javed Ahmed Ghamidi on the ‘structure or nazm of Quran’ it has been possible to discover the true concept of Messengerhood. This and similar other concepts have not been historically touched upon in the popular Islamic scholarship. Today, these discoveries have enabled Muslims to drive a single interpretation of the directives of the Quran. Dr. Zaheer’s tour started on Saturday, 22 April at Griffith University Brisbane where he gave an informative lecture on the root causes of extremism. He attributed it to the misinterpretation of directives of the Quran. A quality set of people attended the event. Nabi (Prophet) and explained the modus operandi of divine punishments as mentioned in the Quran. The sessions were followed by questions and answers. groups who distort the concept of Jihad and use it to justify killing of those whoever they label as their enemy. During Dr. Zaheer’s visit to Sydney, the Hornsby Mosque also invited Dr. Zaheer to conduct sessions with youth and elders and present Khutba (sermon) on Friday. His discussions were insightful and drew several perceptive questions from the participants. Al-Mawrid hopes that its effort will go a long way in developing understanding of Islam and clarifying some of the prevalent misconceptions. 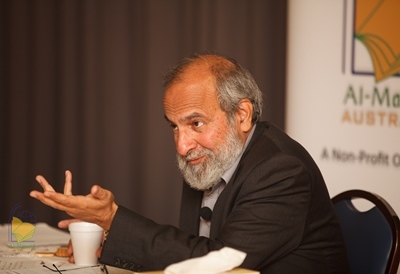 On Tuesday, 25 April at Gungahlin Public Library in Canberra Dr. Zaheer presented an analysis on the extremists’ line of reasoning by drawing attention towards the directives in the Quran which are used out of context to proselytize general Muslims. He emphasized that Muslims must challenge this reasoning and when convinced disseminate the counter narrative far and wide. This will help to respond and withstand the internal and external criticism levied on Islam due to incorrect understanding of the Quran’s message. The sessions in Melbourne were organised at Central Park Community Centre at Hoppers Crossing on Saturday, 29 April. Dr. Zaheer continued the discussion on the Divine Scheme relating to Messengers and and the role of Muslims living in western societies. 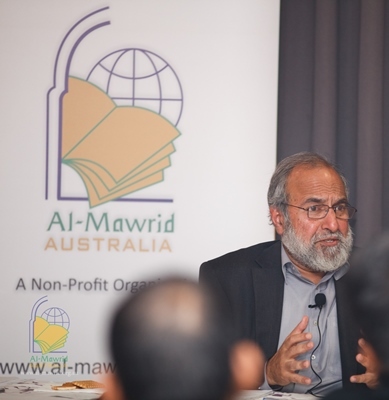 Dr. Zaheer’s lecture in Perth was jointly organised by the Centre for Muslim States & Societies (UWA) and Al-Mawrid Australia. It covered “Shariah in Islam: What it is and what it is not”. He emphasised on the separation of Shariah (law) and Fiqh (jurisprudence). Whilst the source of Shariah is the Quran and the Sunnah, the Fiqh is a judgment of the jurist based on their interpretation. He argued that these interpretations may not always be correct due to jurists’ lack of the knowledge on the subject and the attitude of taqleed (blind-following). This led the future jurists not to reconsider the interpretations and judgments of the great Muslim jurists of the earlier times. A number of people attending the sessions appreciated the efforts of Al-Mawrid Australia in inviting Scholars of such caliber. Al-Mawrid informed that based on its mission which is based on a verse from the Quran where Allah says: “Believers! Be God Helpers”, it considers that the only way in which we can be Allah’s helpers in the present time is by promoting the true understanding of Islam. For this purpose, apart from inviting Islamic scholars from time to time, Al-Mawrid also conducts ‘Understanding Quran’ classes for both men and women. 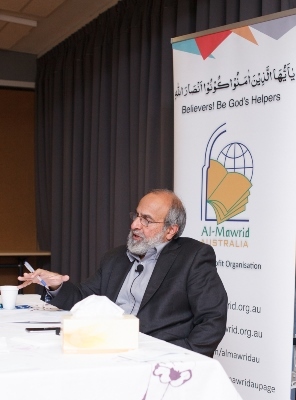 It invites people to join its cause by becoming a ‘Friend of Al-Mawrid’ through registering details on Al-Mawrid Australia website: <http://www.al-mawrid.org.au/>. Al-Mawrid Australia is a registered charity under the Australian laws and can accept Zakat donations. In addition, on Saturday, 20 May 2017, Al-Mawrid will be organizing a fundraising dinner including auctions at Himalaya Palace in Granville. It will also be an opportunity to get insight of its achievements and details of the upcoming projects.